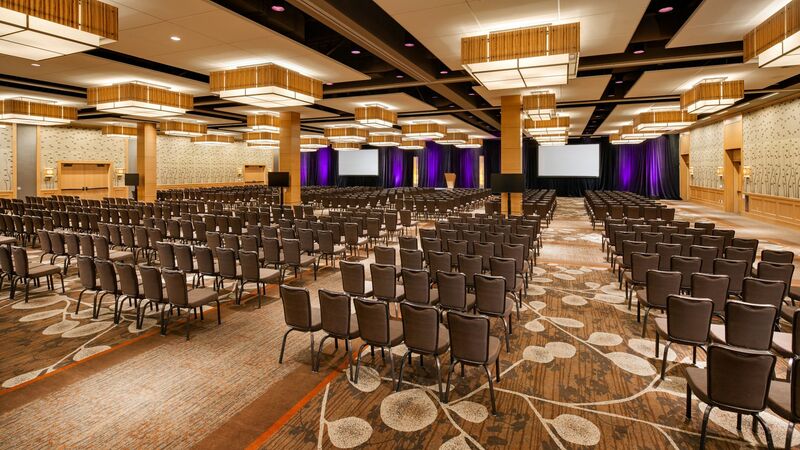 Set the stage for an unforgettable wedding at the Hyatt Regency Bellevue on Seattle's Eastside. 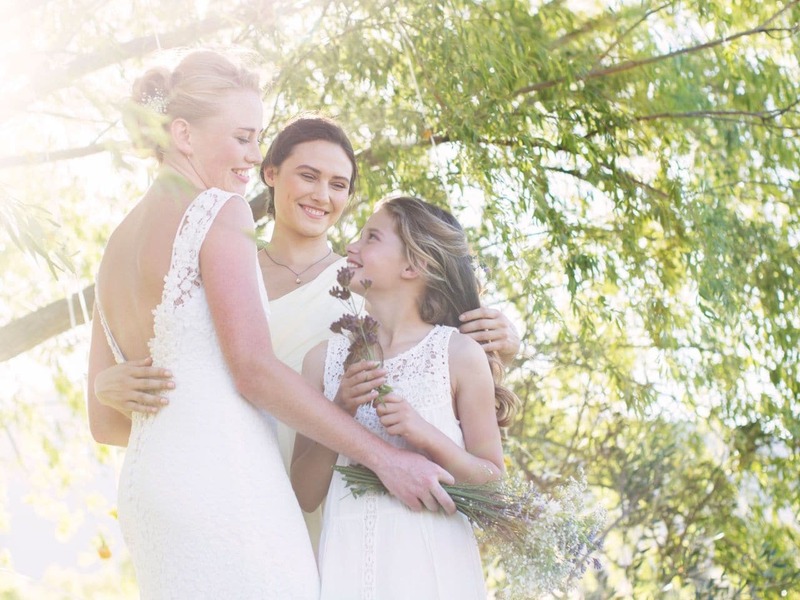 Your once-in-a-lifetime event will be in good hands thanks to our experienced wedding specialists. Whether you prefer a formal affair in our Grand Ballroom or an intimate celebration with family, our stunning Bellevue wedding venues provide a romantic setting for your special moments. Most of our spaces can be set up to match your plans. We offer flexible seating ranging from eight to ten guests per table. 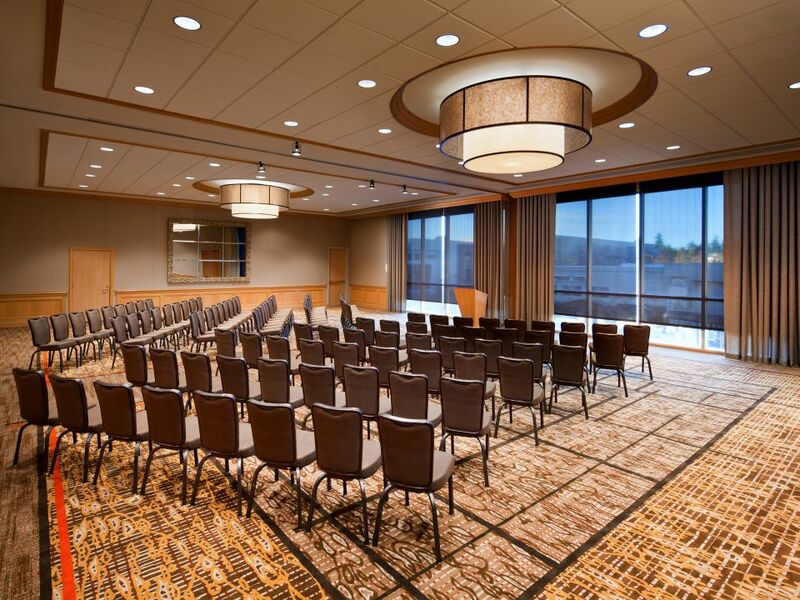 Hyatt Regency Bellevue can create a ceremony room, set in round or chapel style. Choose from any number of venues to find the one to suit your style. 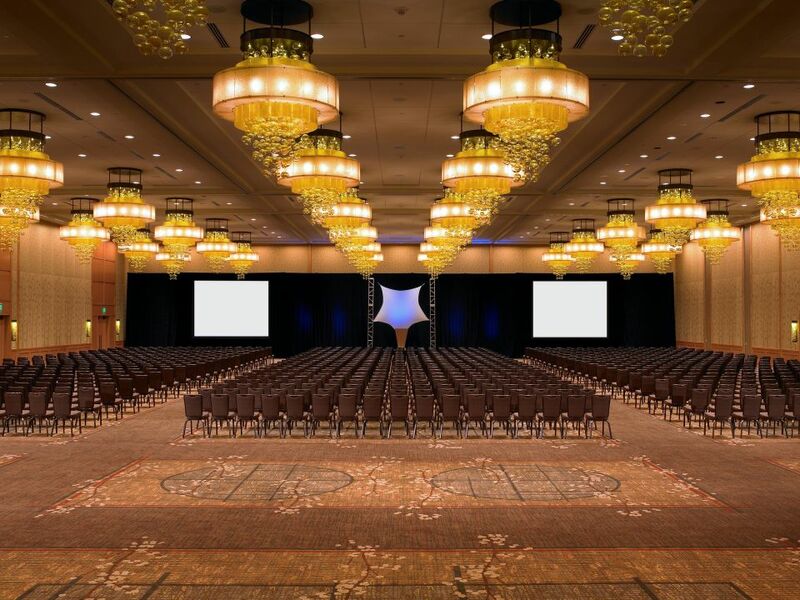 Our on-site audio-visual experts can help you execute your ideas, from a personalized slideshow to special lighting effects. Our comprehensive wedding package offers a wide variety of plated or buffet dinners. Customize the menu to reflect your cultural preferences. Valet and Self-parking are available for your guests. Self-parking is complimentary on the weekends and the hotel will validate 3 hours of self-parking for all of your guests on weekdays. Hyatt Regency Bellevue on Seattle’s Eastside is pleased to host your wedding day and we know how difficult the planning process can be. To make your decisions easier, our team can provide a list of recommended professionals to assist with your special day. The Hyatt Regency Bellevue has an excellent route for your family’s Baraat, beginning on 106th Avenue and traveling South to NE 8th Street then West and into the front drive of the hotel. 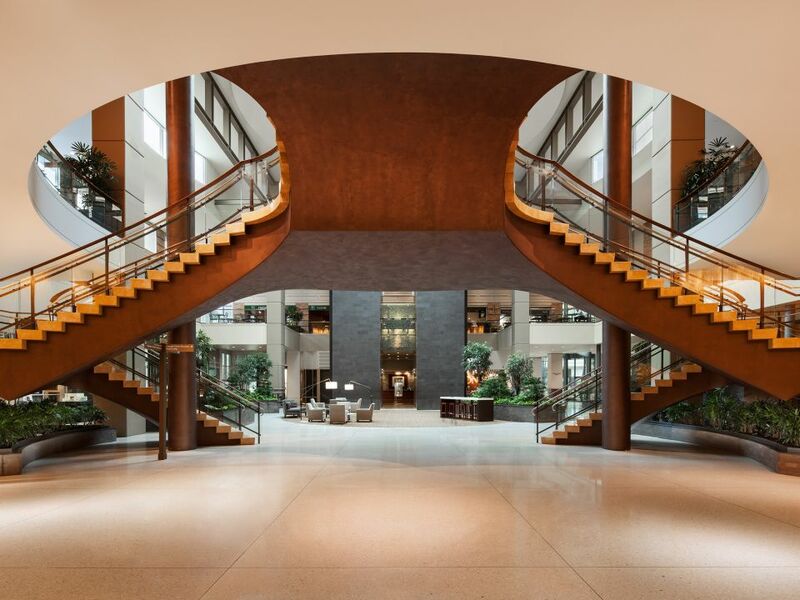 Once on the front drive, your family will have access to our porte cochere for singing, dancing and celebrating. Horses are welcome to be a part of the celebration. 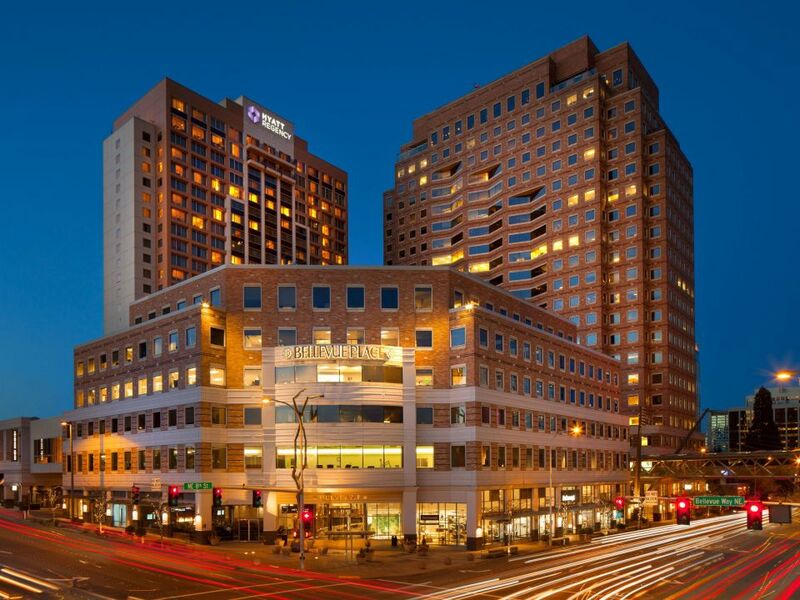 Hyatt Regency Bellevue offers an array of menu options to suit every need. 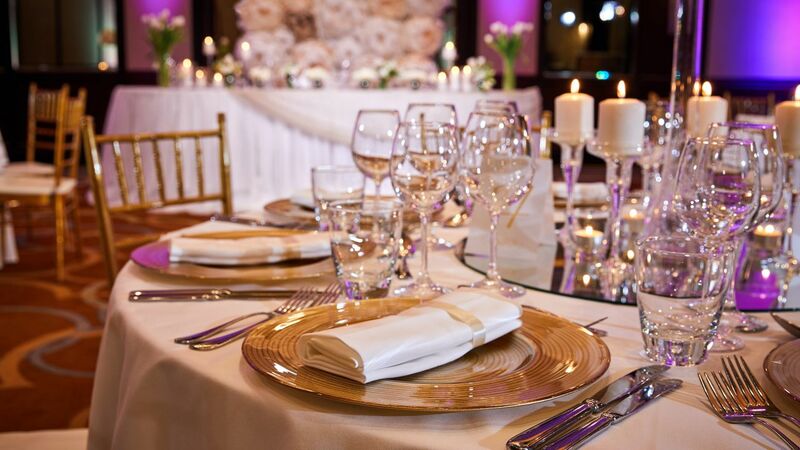 Your Wedding Specialist will ensure every last detail is attended to for a seamless dining experience. From hand passed hors d' oeuvres to a champagne toast, our service delights. We welcome the opportunity to create menus especially for you. Customize your wedding dinner menu by selecting from the following options: Personal Preference, Plated Prix-Fixe, Buffet style and Specialty Stations. You'll select from a wide array of delicious foods and your Wedding Specialist will help design the perfect dining experience for you and your loved ones. Your Wedding Specialist will work with Hyatt approved Caterers to develop and execute a menu that celebrates your culture, style and preference. Overlooking lush mountain ranges and Lake Washington, Hyatt Regency Bellevue on Seattle’s Eastside offers a city-center location, sparkling décor, as well as easy access to the many attractions of nearby Seattle. When you select our stunning hotel for your wedding ceremony or reception, you’ll benefit from years of experience and the wealth of resources within the Hyatt network. Enjoy a complimentary guest room, elegant on-site catering, and discounted accommodations for out-of-town guests. Discover Champagne toasts, open bars, and valet parking. 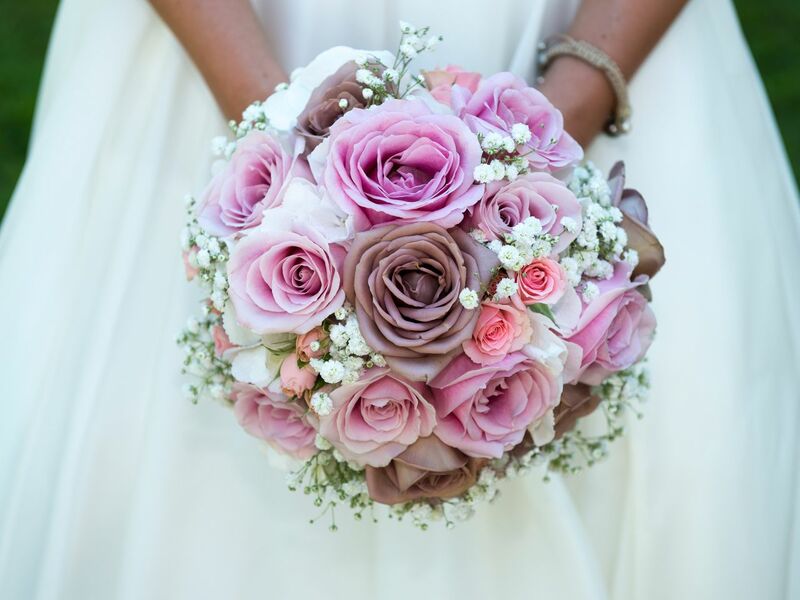 Allow our wedding specialist to assist you in everything from flowers and decorations to the bridal procession and the final goodbyes of your perfect day. Each of our packages can also be adapted to meet any dietary preferences or requests. 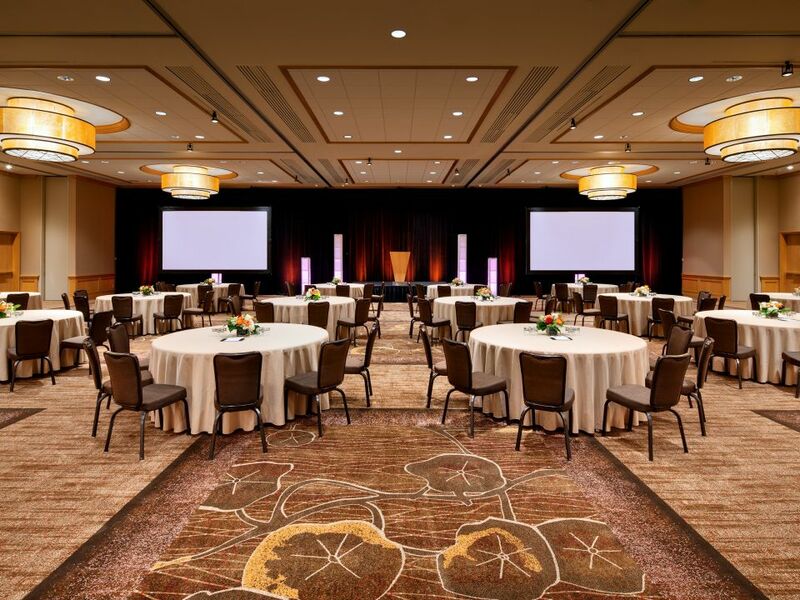 A Food and Beverage minimum is applied to all events at Hyatt Regency Bellevue. A non-refundable deposit will be required with the signed contract. Your final balance is due 10 business days prior to your wedding. Our menus and pricing are subject to change without notice until a final contract is signed. All Food and Beverage is subject to a Service Charge and Sales Tax. A final number of guests is required three business days prior to your event. This number is your guarantee and may not be lowered. The hotel will be prepared to serve 3% over the guaranteed count. Our Executive Chef has created wonderful wedding menus for you to choose from, however we can certainly customize these items to meet your needs. Yes, we will schedule a complete tasting of selected menu items two to three months prior to your wedding. Timing of your event is flexible, based on availability. Consult your wedding specialist for specific times on your chosen date. What are my options for bars? We have many different options for bars and can work around your preferences. You can have a fully hosted bar, a non-hosted (cash) bar, drink tickets, hosted wine and beer only, the options are endless. Do you have suggested vendors for flowers, music and photography? Your Catering Manager can provide you a list of Preferred Vendors, however we do not require you to use these partners. 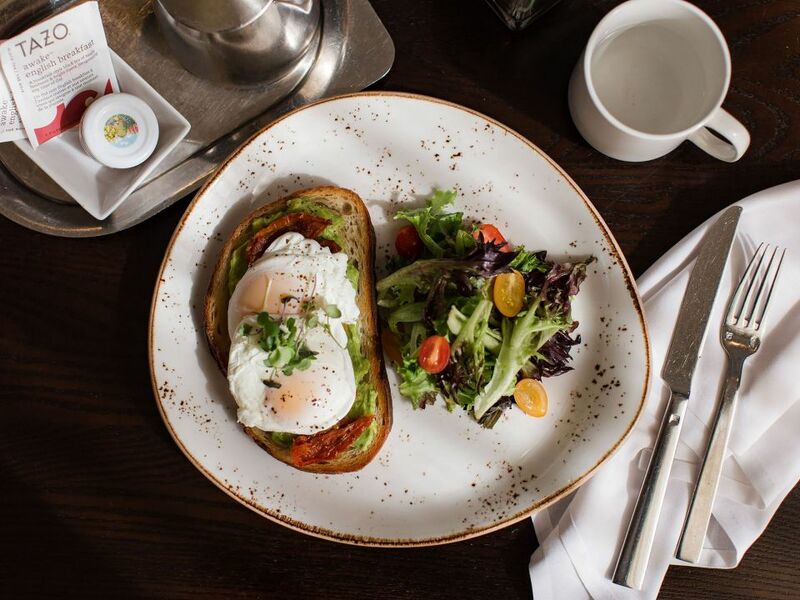 Can I host a morning after brunch or a rehearsal dinner at the Hyatt Regency Bellevue? Absolutely, we would love to work with you to coordinate this special event. No, your contract pricing will not include tax or service charge. All guests can request late check-out, it is granted on a case by case basis based on availability. Is it possible to get a special room rate for my guests? Yes, it is common to do a Letter of Agreement (LOA), this is a courtesy block in which you are not held responsible for the number of rooms booked. We will provide you a web link so that your guests can make online reservations through your personalized wedding website. Yes, we have a variety of upgraded accommodations for the night of your wedding.